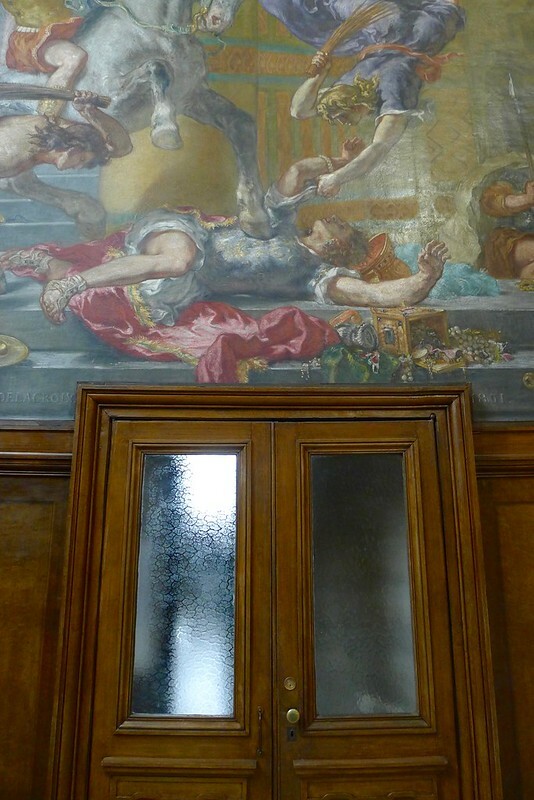 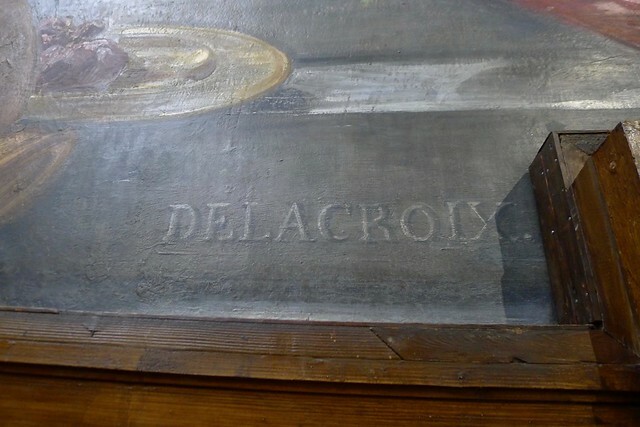 When we did our article about everything related to Delacroix on the Left Bank, one major piece escaped us. 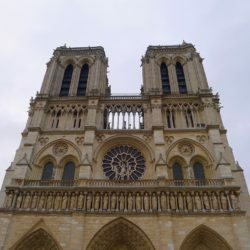 It was a little frustrating to say the least! 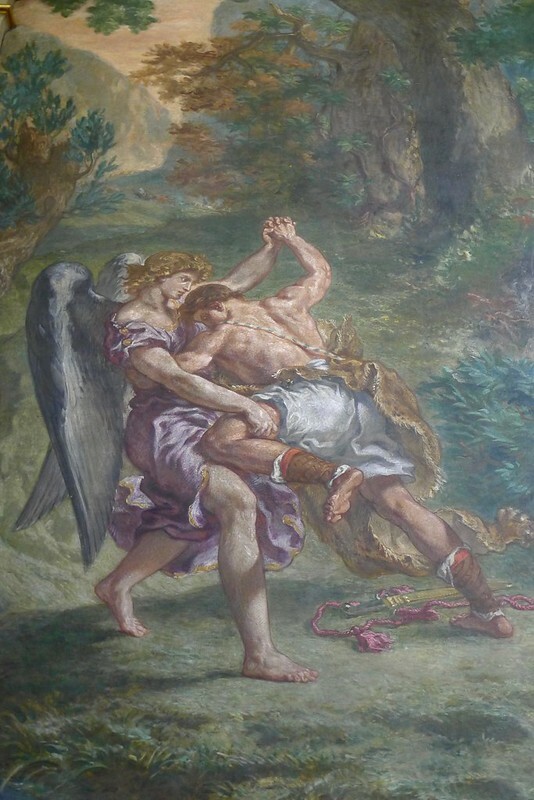 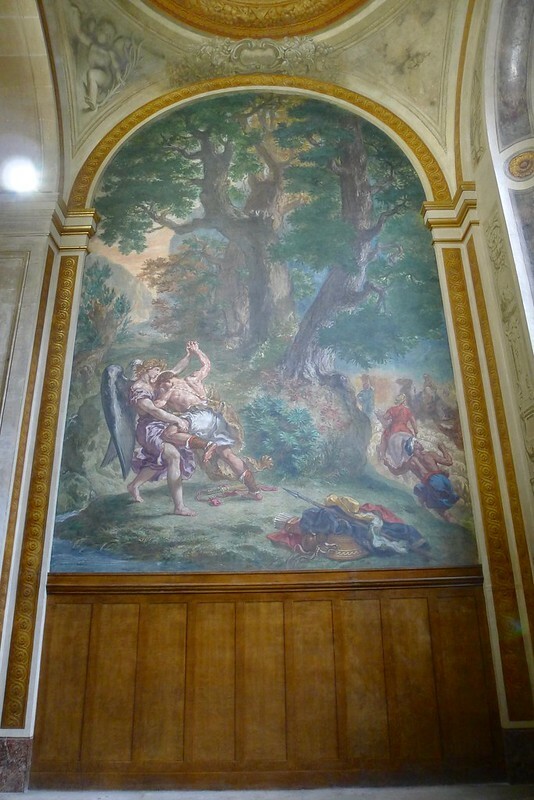 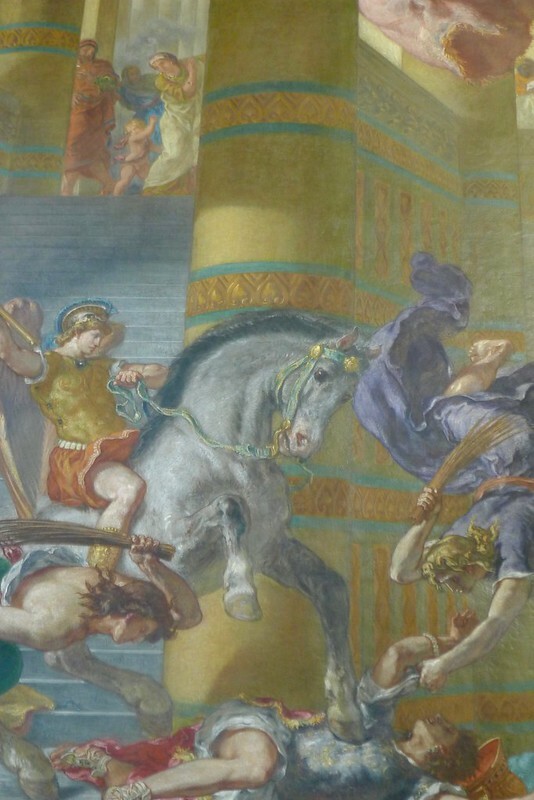 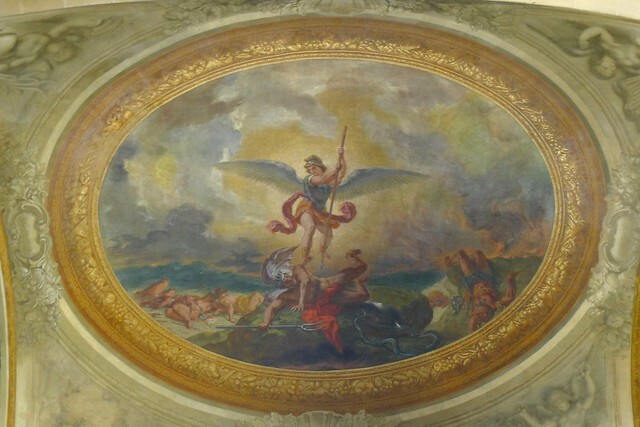 We had really been looking forward to seeing Jacob wrestling with the angel, Heliodorus Driven from the Temple and Saint Michael slaying the demon, the three paintings on the walls and ceiling of the chapel. 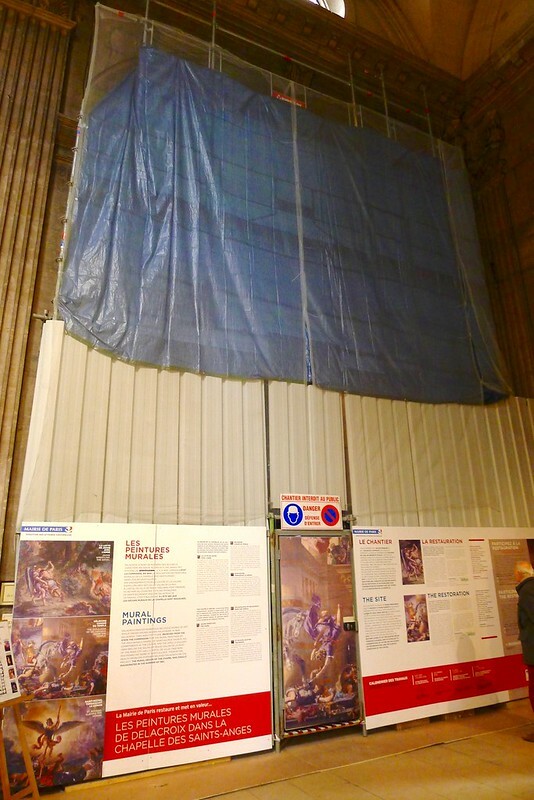 Luckily, thanks to the city council and crowdfunding that brought in nearly 47,000€, the paintings are once again visible in pristine state. 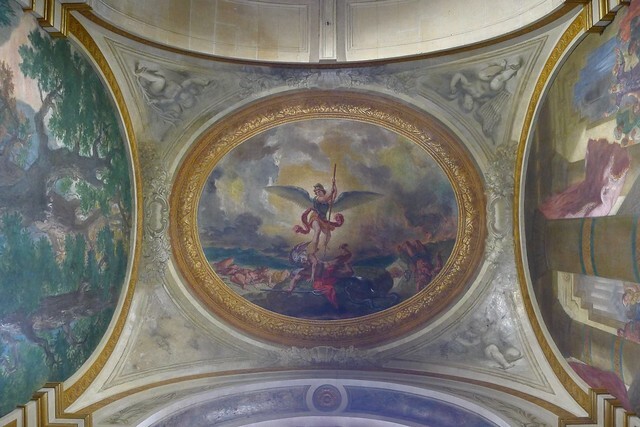 In all, the restoration by a team of ten people cost 438,000 euros. 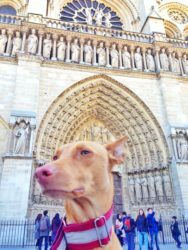 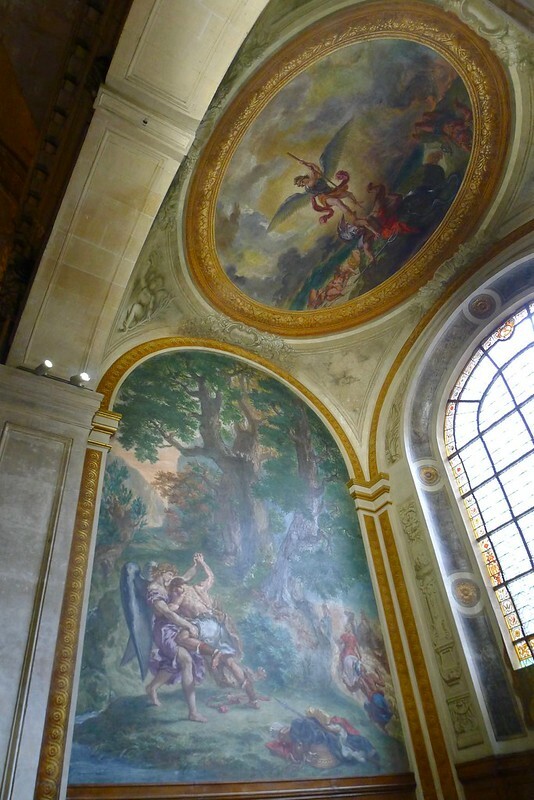 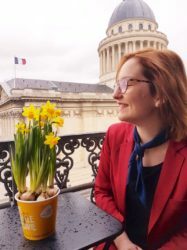 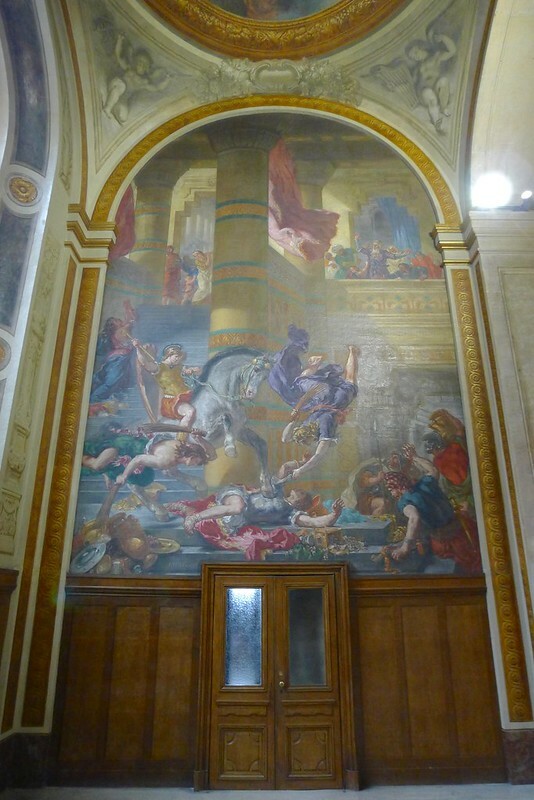 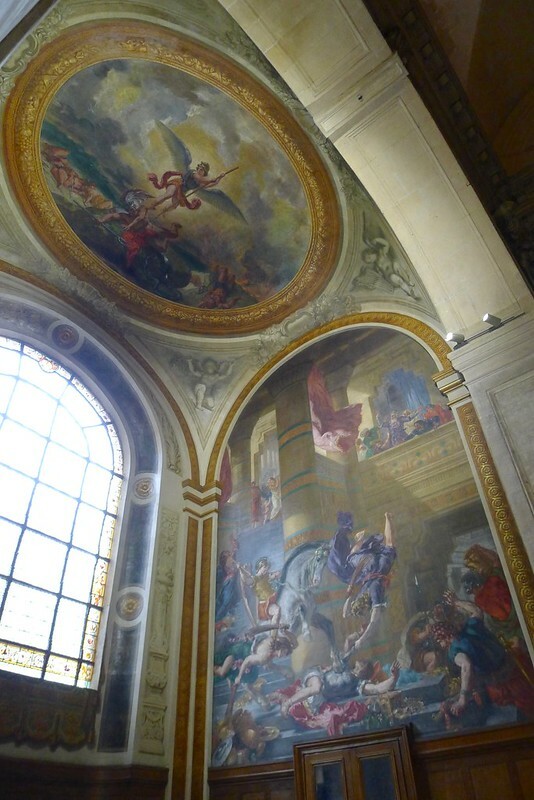 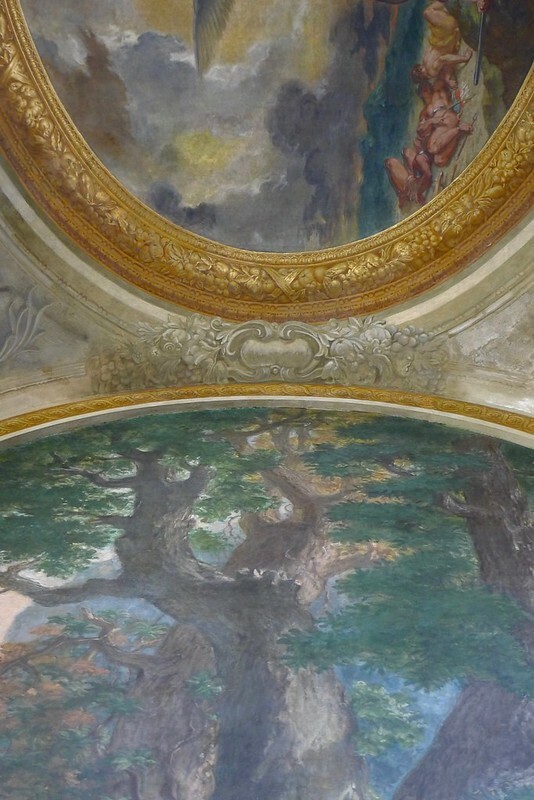 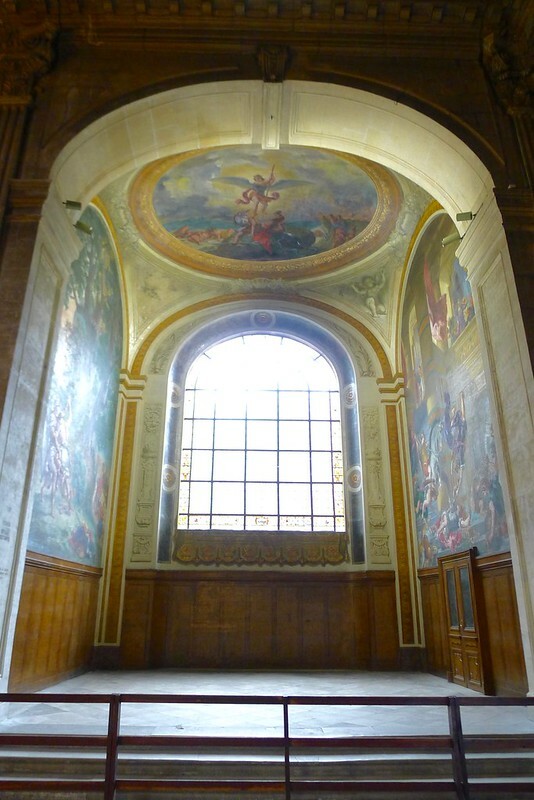 Inaugurated a few months ago, we went down to see the paintings at Saint-Sulpice, not far from our hotels to give a sneak peak of what you’ll be able to see during your visit. 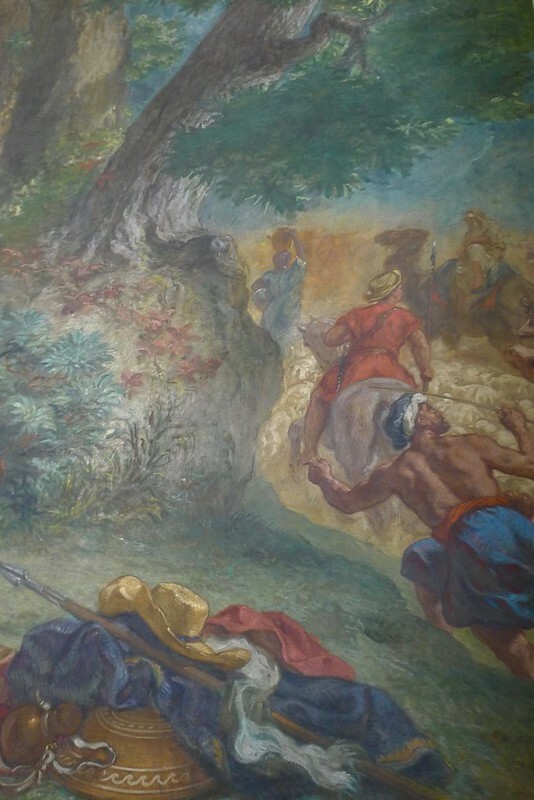 Any fan of Delacroix shouldn’t miss it! 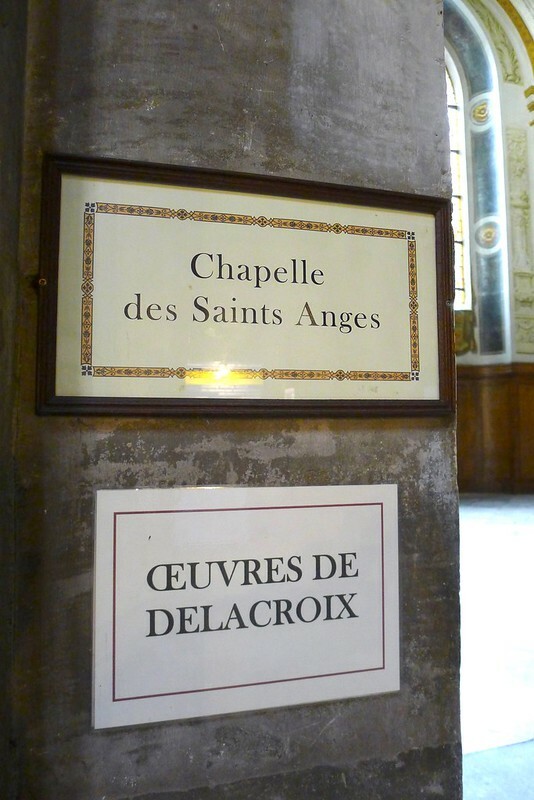 The video report below will also give a quick look at the church (in French).